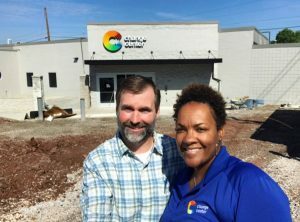 Since 2016, Hard Knox has been a part of the development of an exciting project, and in just a short period of time, The Change Center will officially be open! Let’s back up a little. What is the Change Center? How did it get started? 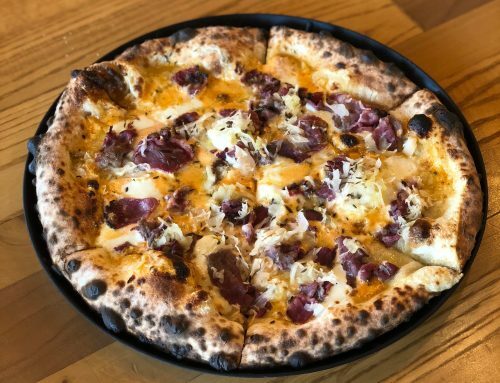 What is Hard Knox Pizza’s involvement in the Change Center? What is the Change Center? 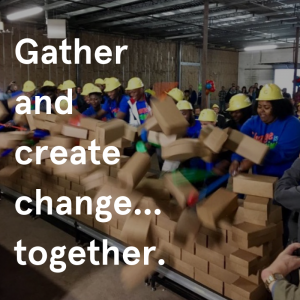 The Change Center is a safe, strategically located, center-city partnership facility that is committed to making a change in the lives of inner-city communities in Knoxville. The vision of the Change Center is to have a cool place for teens and young adults that encourages hope and transforms our community through work and play. The Change Center houses two primary pillars. The first is a recreation center with activities such as roller-skating, rock climbing, a movie screen, a performance stage, an arcade, and a concession café. The second pillar of the center is the entrepreneur center, which is a place for growth and opportunity for teens and young adults. The Change Center provides part time employment within the Change Center, as well as connections to jobs in the community. There is also a level of mentorship for teens and young adults interested in entrepreneurship. The Change Center is committed to making a positive change in our community. How did the Change Center get started? In 2013, Mayor Rogero attended a Cities United conference, a national convening of mayors committed to restoring hope to their communities and building pathways to justice, employment, education, and increased opportunities for residents. Additionally, Mayor Rogero held a summit where she spoke with young people and they shared that when they are bored, they do dumb things. 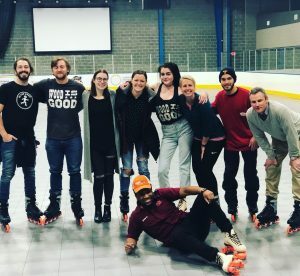 One of the things these young people said they wanted to do was roller-skating. Mayor Rogero helped them plan a skate a party. The students promoted it, planned it, and KAT partnered with the city to provide transportation, and around 250 young people attend the event. When it was over, the teens asked when they could do it again. 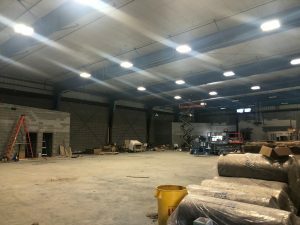 Around the same time, Daryl Arnold, the Pastor of Overcoming Believers Church had a large area of space he was saving for additional renovations for the church. He one day felt compelled to donate the 22 thousand square-feet as he was preparing to bury another young person. He showed Mayor Rogero the space and donated it for what is now the Change Center. The work behind The Change Center began in 2015. The announcement of the venue was made in 2016. They broke ground in 2017. And The Change Center will officially open in 2018. What is Hard Knox’s involvement in the Change Center? 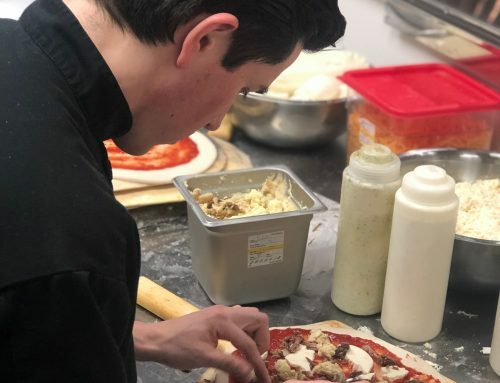 Alexa Sponcia and her Hard Knox team came on board in 2016 and have been a huge part of the process in creating the Change Center Café, including the design of the commercial kitchen and menu creation. When we interviewed Nicole Chandler from the Change Center, she shared that Hard Knox has already poured hundreds of hours into the change center, ensuring the café had the right equipment, getting them connected with vendors, and helping make sure they completed all the required inspections. As the opening date approaches, the Hard Knox team is spending time training all of the new employees of the café on how to manage the kitchen. 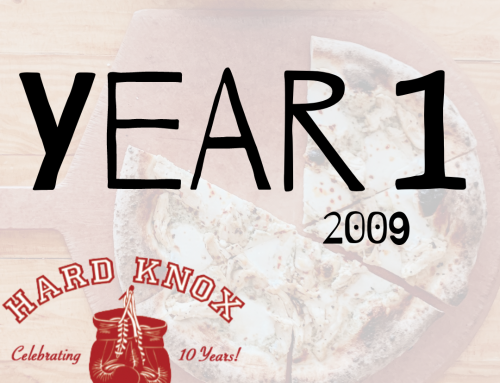 The expertise of the Hard Knox team aims to provide a food service that runs smoothly at the Change Center. Nicole shared with us that she knows once the center is officially open, Alexa and the Hard Knox team will continue to invest into the café. Alexa is committed to ensuring the café is successful. 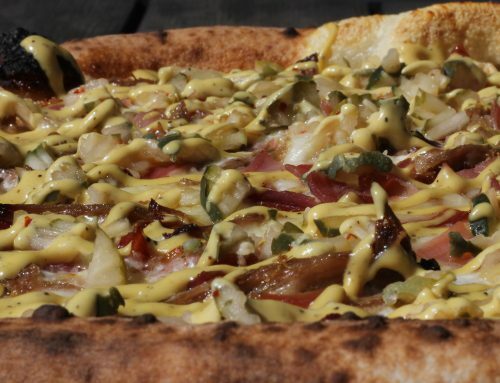 One of the best things about our industry is that is so much more than food. It is an opportunity to serve and connect with people. Opportunities to use our passion for culinary experiences to impact the lives of others, is something indescribably fulfilling.